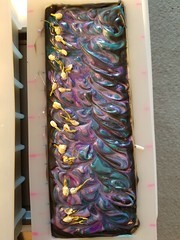 This soap smells like a candy factory! 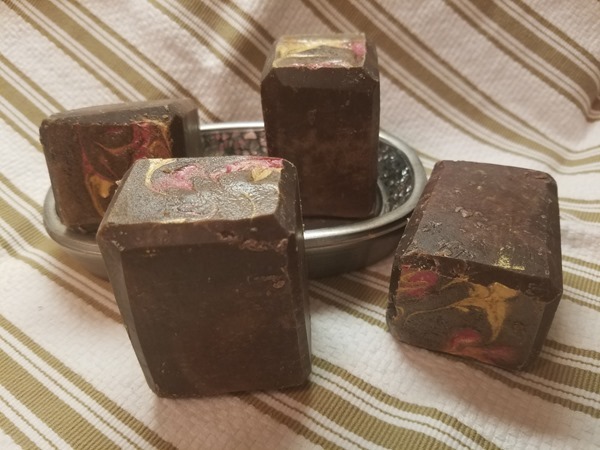 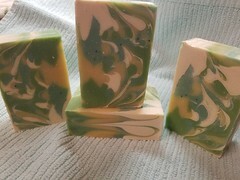 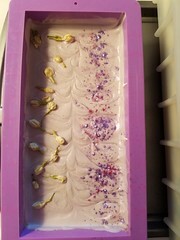 In addition to the chocolate and amber scent, it also has notes of lavender and tangerine. 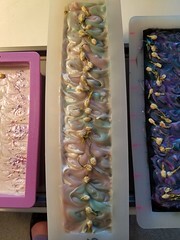 It’s very sweet and delicious smelling. 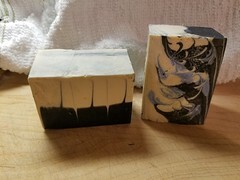 Due to the fragrance oil, it discolors to a dark brown, despite my best efforts, although there is a little decorative color on the top that will wash off with first use.